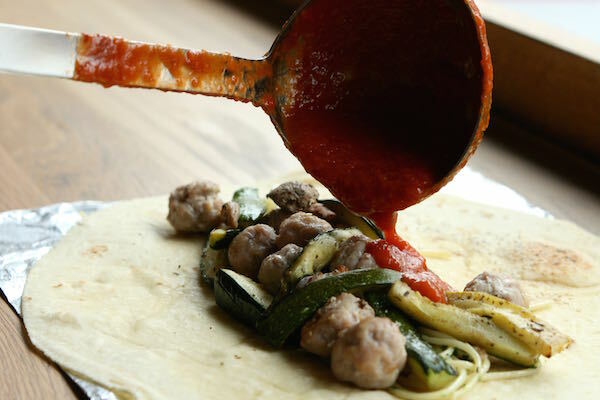 The Piada, typically associated with the Emilia-Romagna region of Italy, is an Italian hand rolled flatbread traditionally cooked on a hot flat stone with the principal fillings of meat, vegetables and Italian cheese. It’s an Italian wrap. 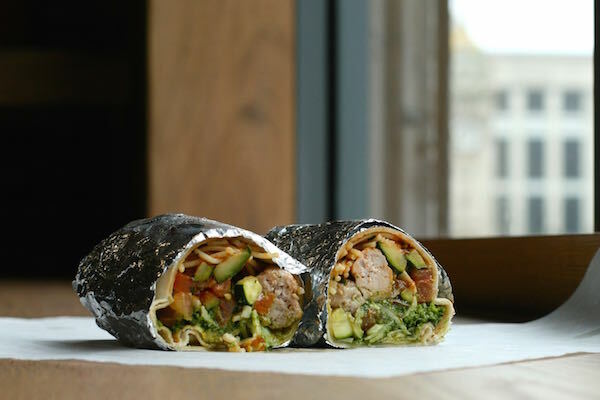 If you want to eat a Piada in Brighton then the place to get one is Eatalio, situated on Queens Road, which runs directly down from the station, just over the road from the Clock Tower. Here, the spacious restaurant come diner offers eat in and takeaway options fit for both lunch and evening bites. And if you happened to want one in the comfort of your own home, do as I’ve done this evening and conveniently place the order though Deliveroo. 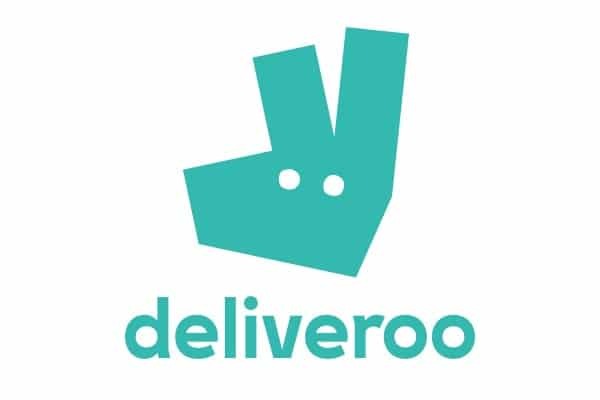 The gourmet takeaway specialists have teamed up with a host of Brighton restaurants all of which are listed on the Deliveroo website. Start by entering your postcode, determining the restaurants currently available to order from, then chooses a specific time for their meal to arrive – nifty. Select restaurant of choice, followed by food of choice, then make payment and the deed is done. From past experience the food always arrives bang on time and this evening is no different – 8pm as requested. My partner and I have ordered a Piada each and a salad to share. 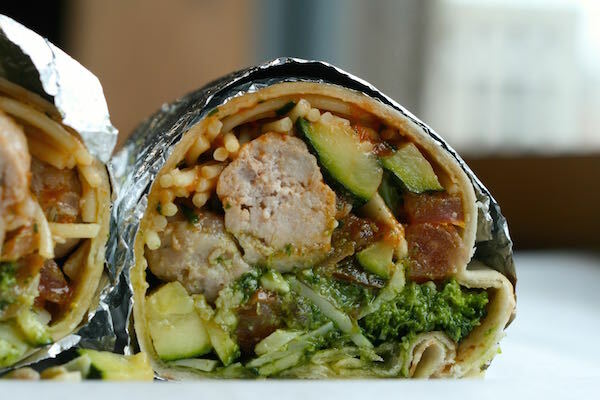 It’s worth noting that there’s plenty more to the menu – pasta bowls, spaghetti and a variety of salads also feature but the Piada seems to be the main event, priced around £6 to £7 each. The food has travelled well and each Piada is warm and intact. So we have a crisp chicken fillet Piada, a second filled with rump steak and an Italian sausage salad. What’s immediately obvious is that the latter certainly offers very good value as it’s enormous, possibly a meal in itself, certainly for lunch. 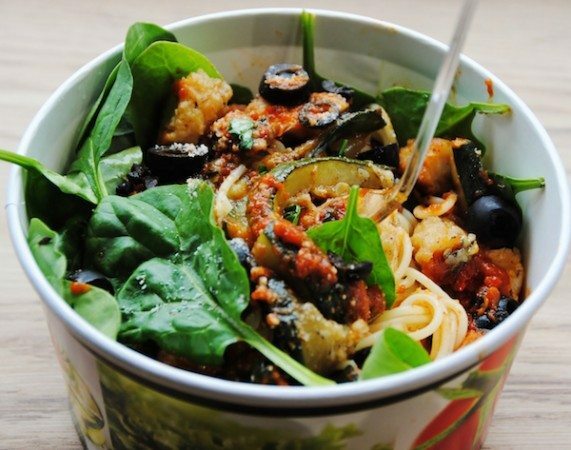 Here we have a concoction of mixed leaves, earthy black olives, tomato and feisty jalapenos. Abundant slices of Italian sausage housing a potent streak of aromatic fennel take centre stage while the spicy pomodoro sauce packs a decent punch both in terms of acidity and heat. The chicken, as advertised, is crispy, tender and well seasoned. Grilled peppers and onions house a dash of sweetness, cosying up to tarter sundried tomatoes and the salty tang of parmesan. The pomodoro sauce features once again, taking more of a back seat than previously. A great combination and packed with bright upfront flavours. It’s a good size too. What’s also a joy are the lightly charred Piadas, certainly of their own style. They’re doughier than a tortilla, super soft, floury and pleasantly malleable, more than a usual flatbread so house their contents with ease. In terms of size, like the chicken, the steak piada is no shrinking violet, containing chunks of rump, cooked to just medium. I suspect they would have been medium rare prior to delivery. Nonetheless, the meat is nice and tender, exhibiting a solid beefy depth of flavour. Grilled peppers and onions, black olives and bruschetta tomatoes combine to make for a mellower offering than the chicken and the difference is good to note. 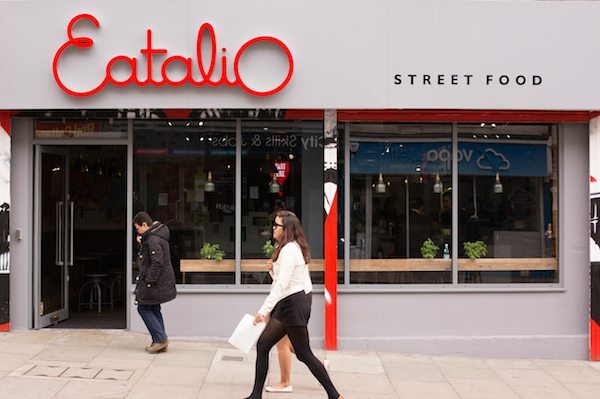 Eatalio delivered a very pleasant surprise; a relatively healthy alternative that still managed to produce the big decadent flavours everybody seeks in a takeaway.